Below are some of the patient testimonials from our clients at Lane Ends Dental Practice in Preston, Lancashire. They have kindly recommended us and shared their positive experiences with others. Our practice strives to deliver exceptional results in the form of both an enhanced aesthetic smile and improved oral health. More than that, we forge relationships with patients so that each and every individual feels welcome at our practice. As our patients have trust us with their care for decades on end. The feedback provided by our community gives us valuable insight into how we can continue meeting the unique needs and goals of every person who chooses us for their health. 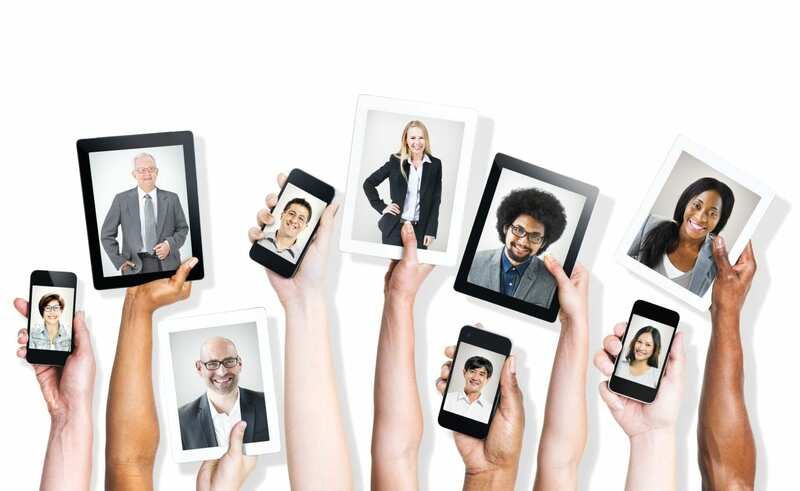 Please take a moment to review the patient testimonials from some of the many success stories that have emerged from our cosmetic dentistry clinic in Preston, then feel free to contact us on 01772 - 726932 to schedule a no-obligation appointment. I could not recommend Lane Ends highly enough. Having not taken the best care of my teeth in my youth, my teeth were in a poor condition, resulting in my neglecting visiting the dentist through embarrassment. I came to hate my smile and would hide it wherever possible. A broken tooth forced me to visit my local NHS dentist, the resulting extraction needed was done with barely any consultation and absolutely no advice on any options and recommendations to replace the awful and visible gap left in my smile. They just sent me on my way. This experience emboldened me to finally do something about my smile. I was sceptical about going private due to the perceived costs and wether it would be worth the premium but having found Lane Ends Dental and there countless outstanding reviews on google, I decided to give it a go. I was especially interested in having a implant to replace my extracted tooth and this is something that Lane Ends state they specialise in. From the moment I spoke to Yvonne, their treatment coordinator, I felt I'd made the right decision. Yvonne has been so friendly and understanding of my issues, helping me along the course of my treatment, nothing ever being too much hassle, always at the end of the phone if needed for advice and a chat. My initial consultation's with both Dr Kaviani and Dr Tehranian were amazing. They went through everything in fine detail in the 1 hour assessment, a marked difference from any NHS dentist I've been to. Scans and photos were taken as well as a lengthy discussion on what I wanted from the treatments, their potential success and suitability to my situation and how I wanted my final smile to be. This was the most surprising thing for me. The cynic in me thought that being a private practice, everything would be done on the hard sell but I couldn't have been more wrong. No treatment has ever been forced and only anything essential or I have wanted to be done has been carried out. I eventually opted for a dental implant along with whitening and bonding to improve the cosmetics of my teeth and I could not be happier with the results. The implant procedure was particularly impressive, Dr Tehranian and his nurses are such pro's, no pain at all and done so efficiently. The staff even checked up on me for a few days after to make sure I was alright, amazing service. I would highly recommend Lane Ends to anyone, well worth it, every single member of staff does an amazing job . The level of care i have received since joining the practice has been exemplary. I have been impressed with not only the dental care but also the dietary and nutritional advice which complements it and has changed my outlook and attitudes to improving and maintaining a healthy lifestyle. I have been coming to this practice for many years. The staff are so friendly. The practice is easy to get to with parking outside. It is clean and modern inside. I am always offered a drink when I arrive. I am never kept waiting. The Dentist has given me my smile back. I never used to smile and now I get compliments on my teeth I never thought I would say that as I never used to smile as I was so self conscious. I am so happy. Thank-you. This is the best dentist in Lancashire, I've just had a filling with Hannah, she didnt hurt me at all, no pain and i didnt even feel the injection. I cant tell which is tooth and which is filling, the colour match is perfect. The whole practice has a very relaxed and calm atmosphere and all the staff are very friendly and caring, theres no way i would go anywhere else. All my family come here now and are very impressed with the dentists, Dr Tehranian and Dr Kaviani, hygienist, dental therapist (Hannah) and the lovely welcome i get when i walk in from the receptionist makes me smile and feel very welcomed. Just found out today that they have been short listed again for another award, well deserved. Good luck Lane Ends ! My experience of Lane Ends Dental Practice has always been great both for myself and my family. Everybody there is friendly and helpful and I feel we are always in safe hands. I would highly recommend them to anyone. I first came to lane ends dentist very unhappy with my teeth and smile, not only did they give me a natural beautiful smile but more importantly my confidence back, i cant thank them enough, the whole team there are amazing and really know how to look after you, I've made good friends with all of them, Dr Tehranian is a great dentist, very gentle and very patient, i would never go anywhere else. 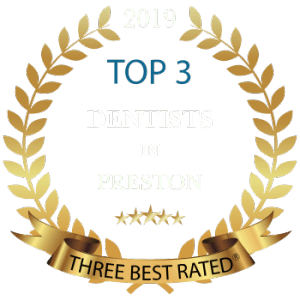 Been coming here over 15years and each time i receive excellent service from all connected with the practice, i have no hesitation in recommending them to anyone looking for a dental practice where they would receive first class treatment. I have just had my first appointment with Lane Ends Dental Practice. After looking for a Dentist that deals with nervous patients I decided to come here. From the first phone call I was put at ease. I felt I just had to write a review about this first experience as I was so amazed by it. Dr Kaviani was the Dentist I saw. She was so thorough and I have never had such an in depth appointment with a Dentist before. This lady missed nothing she took the time I can’t believe how long I was in there. Can’t wait for my next appointment and to see the end results. This place is amazing. The overall experience of going to the dreaded dentist simply dissappears as soon as you walk through the door. The staff are really calming and any treatment given is really painfree, i didnt think this was possible but it was. I dont have any fears of going to the dentist anymore. I attended this practice as a new patient. I was really nervous of the Dentist before I visited this practice but as soon as I went into the practice I felt at ease. The reception team were so lovely and welcoming. Everyone I met was very professional and put me at ease. The Dentist took the time to listen to me and spent a lot of time explaining everything so I fully understood. The practice is lovely and clean and has a very welcoming atmosphere, I was even offered a drink which was a lovely touch. I will actually look forward to going to the Dentist in future. Thank-you so much. I always feel that I receive the best professional care and advice in a relaxed, friendly setting. For the first time in many years of attending a dental practice I have no anxiety or fear about any need for treatment; I trust the staff here and feel supported and cared for. I can also thoroughly recommend this excellent team. I first came to lane ends in 2012 after looking for a good dentist because i knew i needed lots of work doing, i found this amazing practice and it turn out to be the best thing i have done, what this practice did for me has been amazing not only has Dr Kaviani and her whole team looked after me, she has not only given me a beautiful smile but more importantly to be able to smile with confidence and they have changed my out look on life, through all the different processes i went through at this practice i was given no pain what so ever and everything was explained in detail every step of the way by yvonne the lady that is there for you through everything, now i attend every six months for my check up and hygiene appointment with much happiness. Having just visited the surgery for my 6 monthly checks I can honestly say the service at Lane Ends is exceptional, Hannah my hygienist is friendly and very gentle. Taking her time to make sure my teeth are gleaming and in tip top condition. I cant say enough great things about Pahlbod my dentist, from my first visit 10 years ago he put me at completely at ease. I no long dread coming to the dentist! Ive had my teeth whitened, Ive also had both veneers and an implant. Which has given me so much confidence when I smile. The treatment coordinator Yvonne is fantastic too, making sure to take care off every little detail from schedules to finance deals. I have complete faith in the team at Lane Ends and would highly recommend them to anyone. Fantastic, friendly and professional dentists. You're made to feel very welcome as soon as you step through the door. I feel in safe hands & would unreservedly recommend Lane Ends to anyone. Every visit i've had has been a very positive experience for many years! I have been attending Lane Ends Dental Practice on a 6 monthly basis for the past 20 years and have always received excellent service from Dr Tehranian and the team. The inclusion of visits to Colin the hygienist has made a massive impact on the health of my mouth and brushing technique. Reception staff are friendly and approachable and always try to find appointments which fit around my work schedule. Highly recommended. I couldn't be happier with the service received. I initially had veneers done and a crown replaced and have followed up with regular check ups and some fillings replaced. As a very nervous patient the team are always fantastic at easing my nerves and making the whole dentist experience something I'm comfortable with. My faith in dentists is restored! I have been very nervous about visiting the dentist for some time, but my visit today has been fantastic. The whole team from start to finish have been kind, considerate and understanding, with absolutely no pain or discomfort. I have been reassured at every stage of the process. I will definitely recommend you to others. Fantastic service everyone, thank you!! !